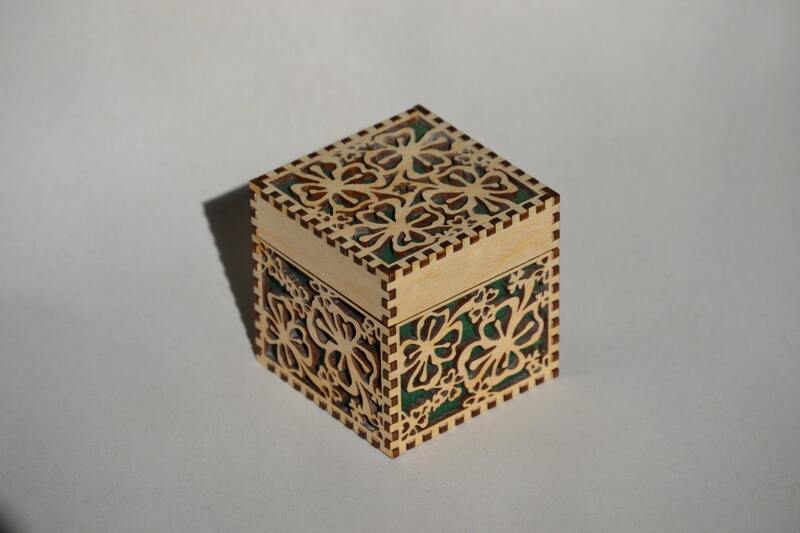 This cheerful cube has a shamrock design cut into its top and sides that reveal a contrasting wood panel below. 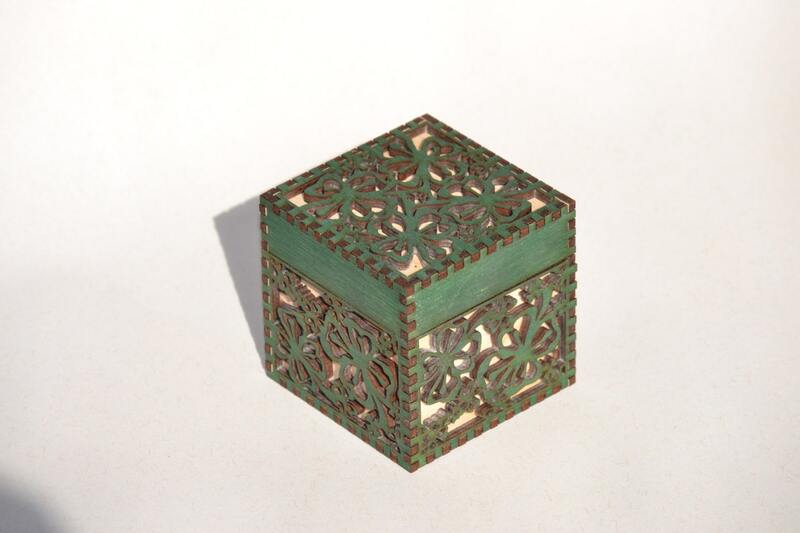 The box is available with bright green wood liner or a light wasabi green liner. Just the right size to hold a little bit of leprechaun gold! 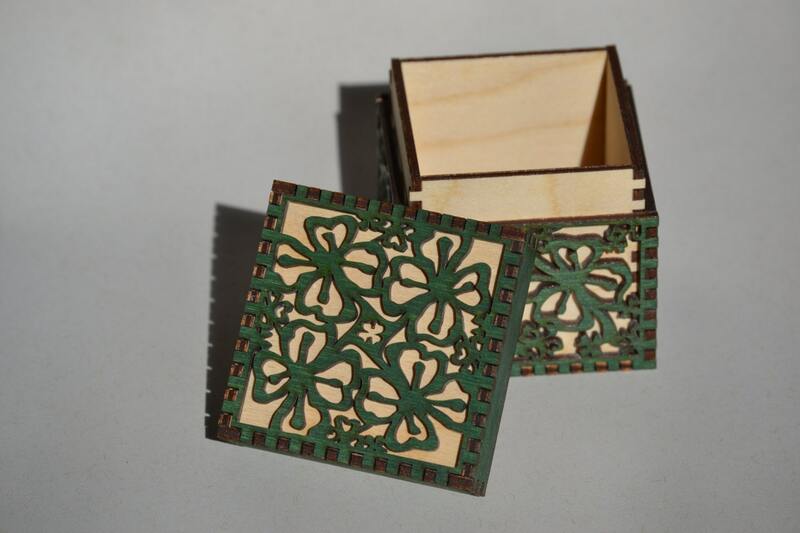 The box is made of Baltic birch plywood, laser cut, hand assembled with a painted lining. 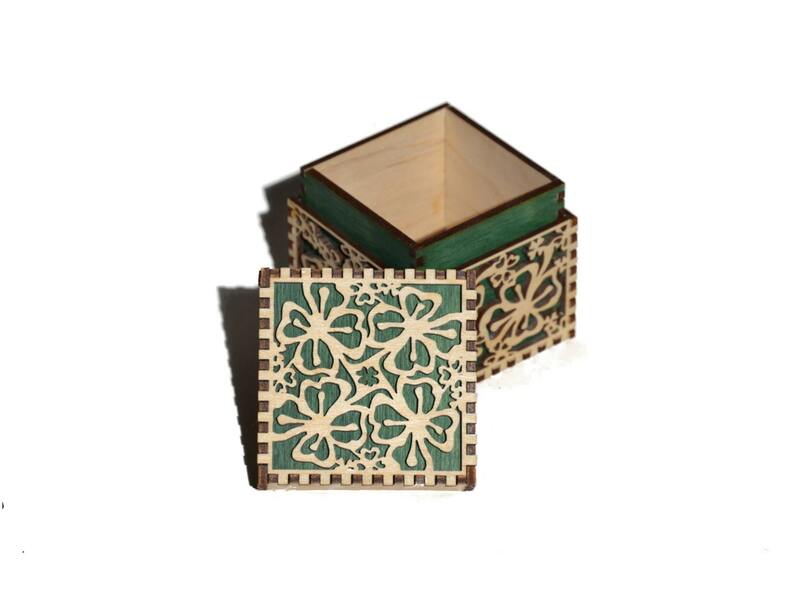 The first two photos show the box with natural birch finish exterior with green stained liner; the last two photos show the box with a green stained wood exterior with a natural liner. Wood grain and color may vary slightly from photo. Fun little box. Great St. Patrick's Day gift.